When I first heard “System Failure” back in September 2017, I had an immediate and overwhelmingly enthusiastic reaction. The rest of the album launched by that opening track turned out to be just as wild, and every bit as good. We did our own part in helping spread the word about the record by hosting the premiere of another ferocious track, which further demonstrated the band’ ability to deliver bone-breaking, organ-rupturing punishment while creating mood-altering melodies that gave their brutalizing assaults an atmospheric quality. 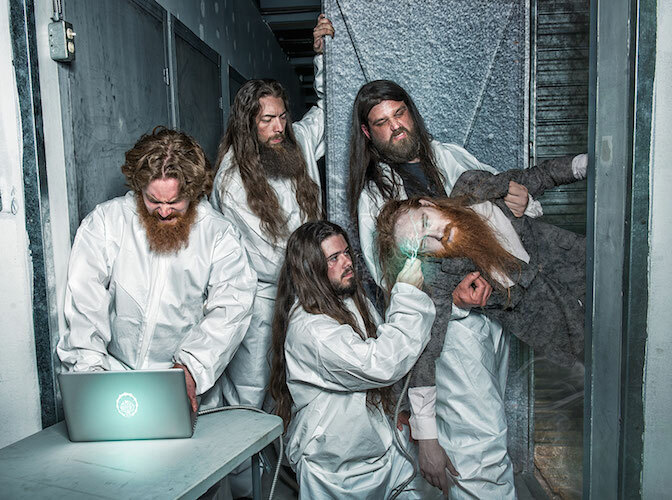 The band in question are a group of explosive and technically adept death metal juggernauts from Gatineau, Québec, named Insurrection, and the album was Extraction, the band’s fourth full-length campaign against the human race (released by Galy Records). Today we have the chance to host another Insurrection premiere, and this time it’s a music video for that first track I encountered from the album — “System Failure“. The song has lost none of its blood-rushing appeal since it first surfaced 18 months ago, and the video only makes the music more electrifying by giving those of us who’ve never seen Insurrection on stage a taste of the way in which the band and their audiences feed off of the riotous intensity of each other’s energy. 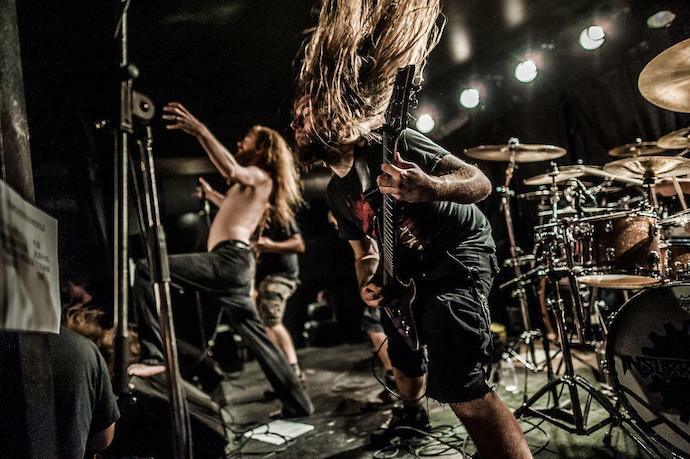 The video was filmed during the band’s December 2018 performance at La Grande Guignolee Underground #11, an event hosted to raise money and food for the local Montréal charity SunYouth, where Insurrection shared the stage with such other well-known Québec metal bands as Cryptopsy and BARF. Man, “System Failure” punches and pulses like a berserk pile-driving machine augmented with heavy armament — pounding deep craters in the middle of a war zone while spraying mortar and machine-gun fire at a blazing-fast rate. It’s immensely obliterating, but the grooves are especially titanic, and there’s a queasy little melody that surfaces like a snake before you reach the end. Truly barbarous vocals as well. 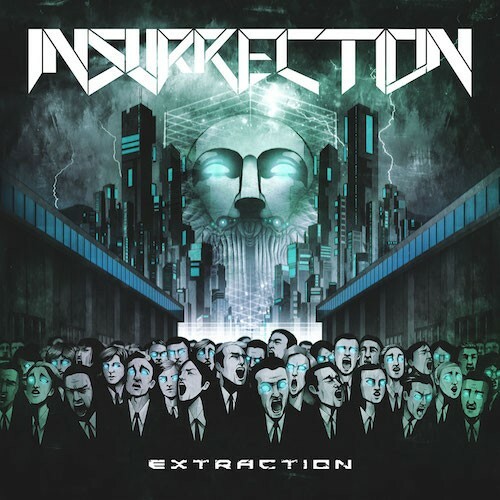 With that, we’ll leave you to the video — as well as a full stream of Extraction so you can check out more of what Insurrection are capable of doing to your body and mind. much thanks, NCS crew ! Our pleasure — best of luck to all of you!